brief nature to forcing and dearth of moisture limits accums. areas under a warning or advisory. heights and bring an end to any impactful LES later Saturday night. GRR's pm update and thoughts..
Our previous headlines looked excellent and remained unchanged. snow showers will taper off to flurries overnight. to the next clipper system will not move in until Monday. But what can you fluff that up to??? Play the ratio card my friend. Globals on short range = iffy at best! Looking at GRR's map, they must be factoring more than that one Euro run..
You can have it Tom...I will take the next one. 1-2" at best...I don't like being on the southern edge of clippers...I was hoping for the one on Mon/Tue to track farther south but that doesn't look like its happening. It would have been a better "share the wealth" scenario across our region. Agree Amigo, NAM is most south solution, GFS tracks overhead or a bit north of you, and GEM's way north and more wound-up across the Straights. GEM would actually be better for LES/LEhS for SWMI vs a system tracking right on top of us. We'll see. Climo in early Dec says north is money for Clippers. WHAT...Heavy lake effect snow expected. Plan on difficult travel conditions. Total snow accumulations of 4-7 inches, with localized amounts up to 9 inches. WHERE...Porter, La Porte and St. Joseph Counties in Indiana and Berrien County in Michigan. Porter County from midnight tonight until 6 pm Saturday. Additional Counties From 12 midnight Saturday to 11 PM Saturday night. ADDITIONAL HAZARDS...Winds gusting as high as 35 mph will cause areas of blowing and drifting snow. 10" Hourly rates.....can you imagine witnessing that?? I know it's Alaska but almost a foot an hour is crazy!! 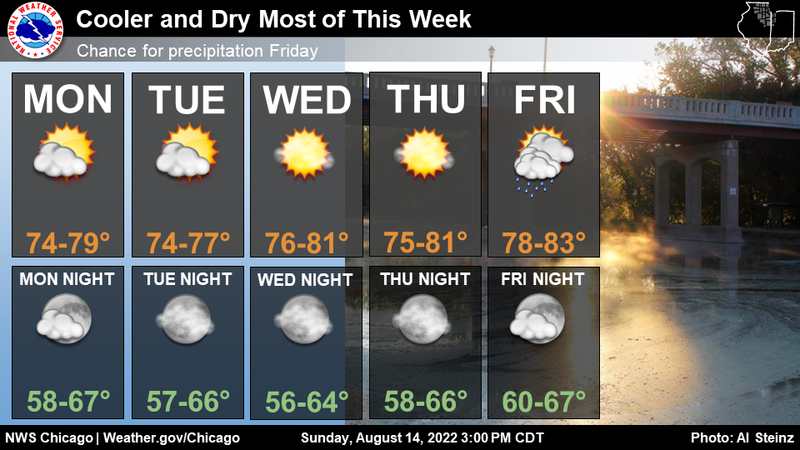 Tom Skilling added 4 new photos. Alaska has reported a record rate of snowfall rate in recent days. The Washington Post article which headlined a reported 10" hourly snow rate this past week in Valdez on the state's southern coast, was called to my attention by one of my Facebook friends. I'm posting a link to the article below. Valdez is the city at the southern terminus of the Alaska pipeline which runs nearly 800 miles from the state's arctic coast. Green Bay joined the WWA club. Up to 5" with help off the lake. First real snow for that area. amounts up to 10 inches, are expected. * WHERE...Allegan and Van Buren counties. Lol that's sad. Here, even if you have a slight possibility of getting 6, you get a WSW. Just took a walk out around my neighborhood with the flakes flying. I may add that this is not pixie dust and have a nice fluff to them. It seems like this year there are more houses with festive lights. All we need now is a nice dumping of powder! Was a short video but get error msg when I try to attach it?? Why do I get the feeling this is going to be the trend this entire winter. Previous forecasts were for up to as much as three inches. Now, barely an inch if we're lucky. I've got 0.1" on the season. I'm on the board! Just a trace down here in CR. A whopping 0.5" of snow over here. Just enough to whiten things up but not enough to cover the grass. Prob will melt by tomorrow anyway. Good luck to those who get the LES! LOT mentioning 2"+/hr snowfall rates in NW IN. Hope IndianaJohn or Hoosier score some intense snows for a couple hours. LES is one of my favorite winter headlines. Yeah, we got about half an inch and then it stopped and picked back up from the lake - wasn’t expecting that - not much all told but nice to see. This system is one of those that teases you in the beginning of the season. I feel ya! You may get swiped by another band forming offshore of Sheboygan. Some light snow headed my way. Couple of inches expected. Currently cloudy and cold w temp @ 26F. Yeah - this one is moving just to the west of me by about two miles! Talk about a tease! Looks nice out there though even still. I agree. Nice to see the snow OTG and gusty winds. I’m making a big pot of soup and will prob put up my Christmas Tree today. It amazing how much of a psychological impact it is to see snow ❄️ during the holiday season. Looks like most of Lake County will miss the LES event....We only get LES on the back end of a major storm as the storm moves to the East. We need an ideal set up to get a major LES event. in Michigan between mile markers 5 and 14. Interstate 80 in Indiana between mile markers 47 and 69. Interstate 94 in Indiana between mile markers 40 and 45. Interstate 94 in Michigan between mile markers 0 and 19. You got an awesome plan going there my friend! I plan to get going on my tree as well. Nothing more than flurries expected the rest of the day, so I finished with a solid 2.5 inches. It was more moist than I thought, nice medium sized dendrites. Most peeps out shovelling and businesses getting plowed for the first time. Even the streets got a blade dropped on 'em by the city crew. Considering the drying trend by models, this turned out great and I'm really pleased! It was mentioned by DTX how this dove straight down from AK, so it had even less moisture than your typical clipper. With light winds, the snows is sitting on all the tree branches. The fountain park area in town looks like Courier & Ives scenery! Lake effect snow has arrived in La Porte County. Visibility in Rolling Prairie is only a few blocks. Please use headlights and buckle up! Yeah, we are not the snowbelt of Indiana. We can and do get decent LES on occasion (with huge events even less common) but not like the frequency about 25 miles to the east. About an inch has fallen IMBY. Still snowing lightly. You'll do better with the next clipper I believe, but even your inch gets you on the board and sets the table for snow-on-snow Monday. Can't hurt the holiday feel either! Yup, its looking more stronger...I am thinking several inches. Best part is to accumulate snow after snow after snow. Ofc, a small break in between is needed to enjoy the fallen snow b4 the new batch falls on top of the old one. That looks sweet. That is a strong looking precip pushing southward towards MI. 0z NAM @ 42..showing Tom some love..looks like 3-5"
Still some light snow in the area. Looking @ 1.3". I wish, but more likely it will be a nuisance event but S WI may score a couple of inches. 00z Ukie throwing some pretty good qpf's across MN/WI/N IL/MI over the next 5 days. Actually, when I took a look at the 00z EPS members, the Wed./Thu clipper takes a nearly picture perfect track/pivot across C IL to give some much needed "snow relief" to those across IA/IL/IN who have missed out. I am still getting some light snow outside.Current temp @ 26F. Next potential comes tomorrow when several more inches of snow will be possible. Your snow fall totals, along with the rest of the MI members, are going to start stacking up buddy! Building that glacier early this year.